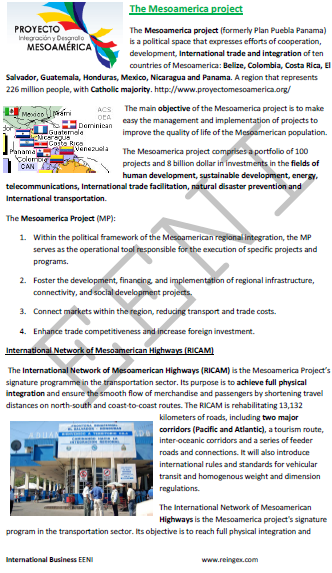 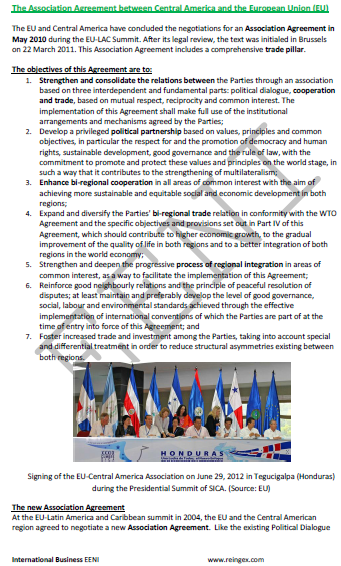 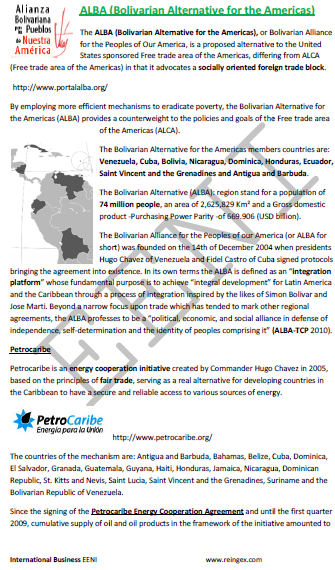 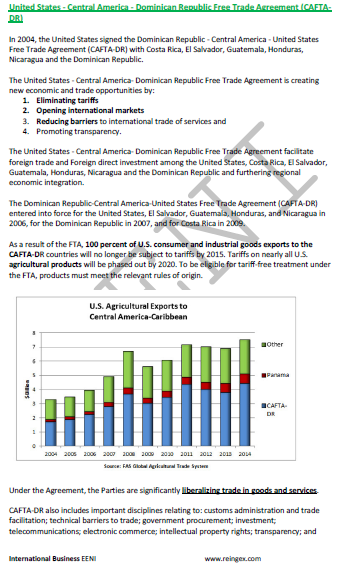 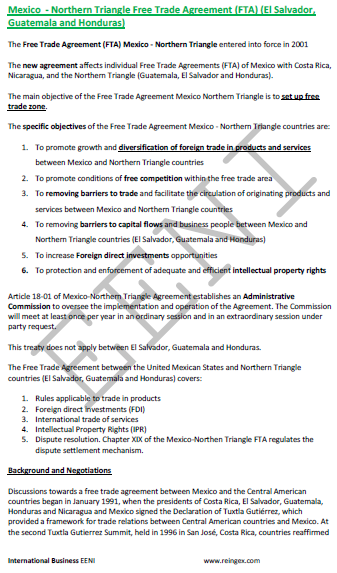 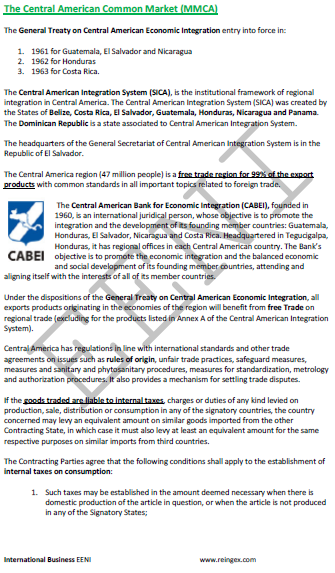 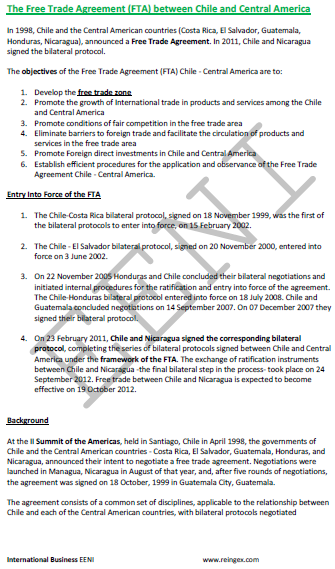 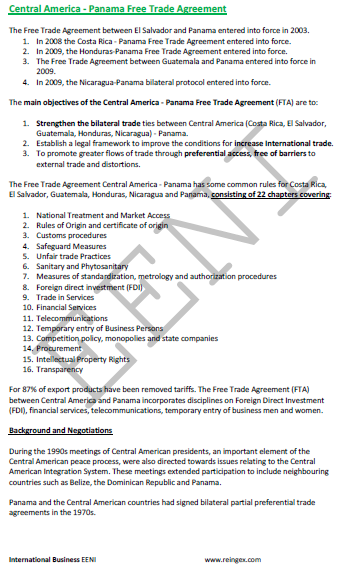 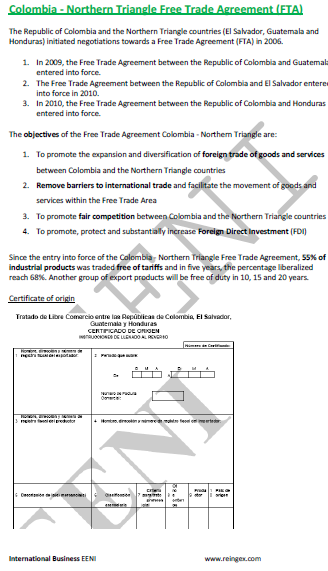 Syllabus of the Online Course (Subject): Foreign Trade and Business in Honduras - Tegucigalpa. 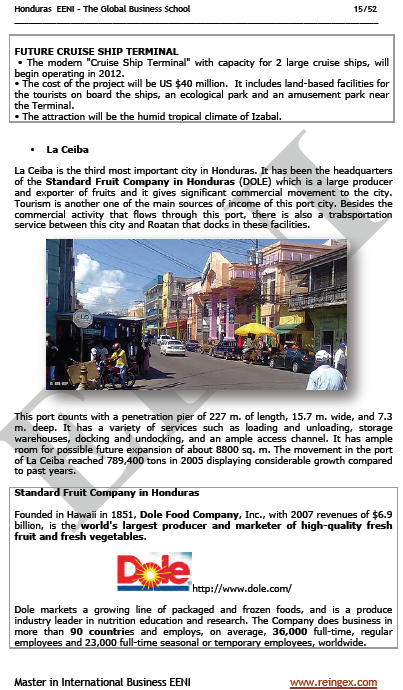 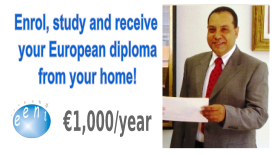 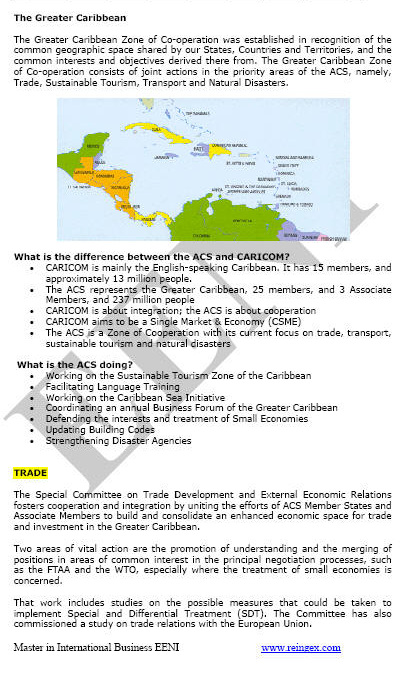 Description of the Online Course: Foreign Trade and Business in Honduras. 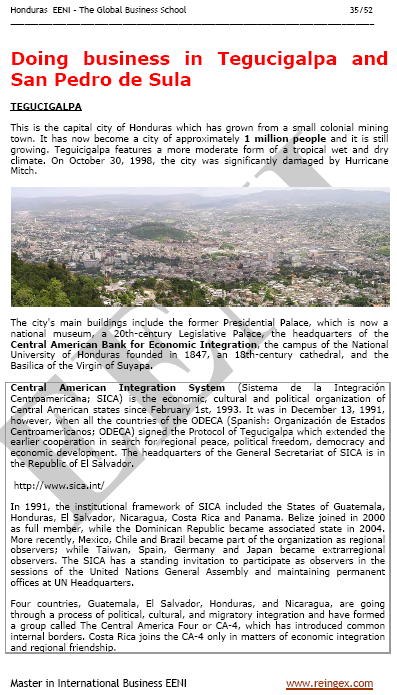 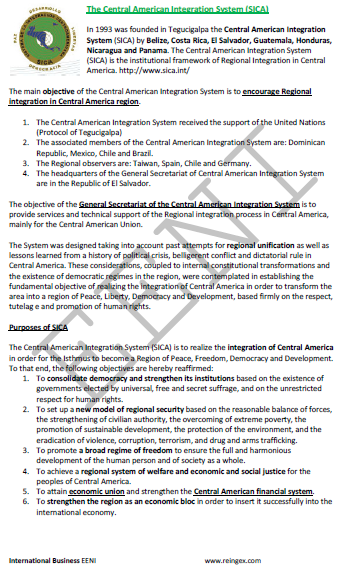 Since 1980 Honduras is governed by a democratic system with steady institutions, a transparent legal system, and political and social stability. 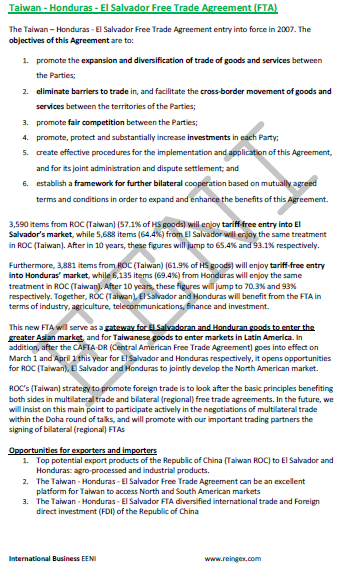 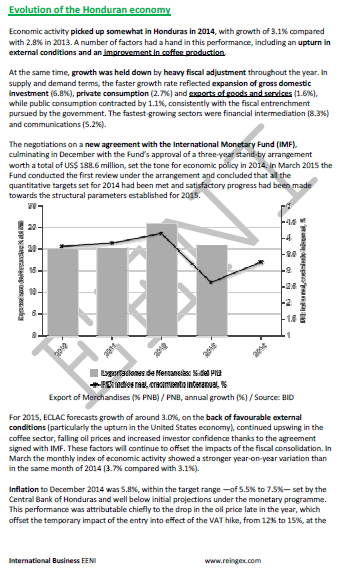 Total Honduran exports grew by 7.2%. 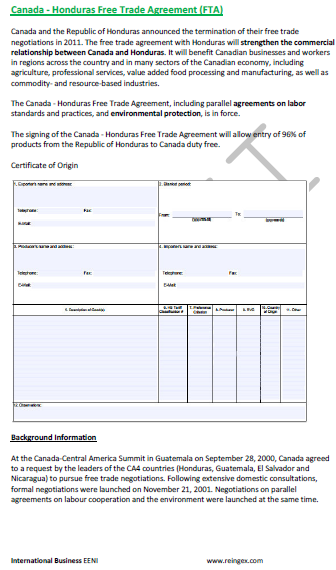 FIDE Investment and exports is a Honduran private non-profit organisation that works in partnership with the Government and other private agencies to improve the business climate in Honduras and promote foreign direct investment (FDI).